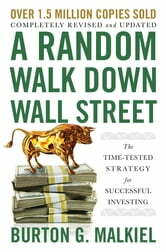 With the prevailing wisdom changing on an almost daily basis, Burton G. Malkiel’s reassuring and vastly informative volume remains the best investment guide money can buy. In a time of increasing inequality, when high-frequency traders and hedge-fund managers seem to tower over the average investor, Burton G. Malkiel’s classic and gimmick-free investment guide is now more necessary than ever. Rather than tricks, what you’ll find here is a time-tested and thoroughly research-based strategy for your portfolio. 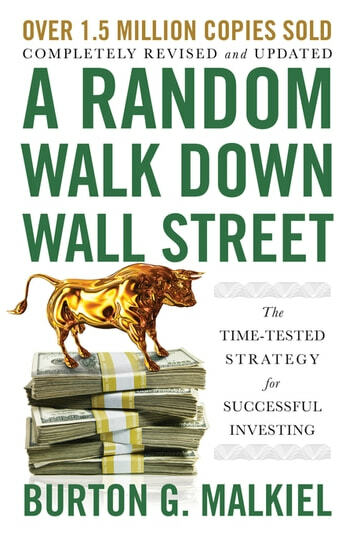 Whether you’re considering your first 401k contribution or contemplating retirement, this fully-updated edition of A Random Walk Down Wall Street should be the first book on your reading list. In A Random Walk Down Wall Street you’ll learn the basic terminology of "the Street" and how to navigate it with the help of a user-friendly, long-range investment strategy that really works. Drawing on his own varied experience as an economist, financial adviser, and successful investor, Malkiel shows why an individual who buys over time and holds a low-cost, internationally diversified index of securities is still likely to exceed the performance of portfolios carefully picked by professionals using sophisticated analytical techniques. In this new edition, Malkiel provides a brand-new section on the recent bubble in cryptocurrencies like Bitcoin, as well as valuable new material on “tax-loss harvesting”—the crown jewel of tax management. He also presents a critical analysis of two recently popular investment-management techniques: factor investing and risk parity. On top of all this, the book’s classic lifecycle guide to investing, which tailors strategies to investors of any age, will help you plan confidently for the future. You’ll learn how to analyze the potential returns, not only for basic stocks and bonds but for the full range of investment opportunities—from money market accounts and real estate investment trusts to insurance, home ownership, and tangible assets like gold and collectibles. Individual investors of every level of experience and risk tolerance will find throughout the book the critical facts and step-by-step guidance they need to protect and grow their hard-earned dollars.